Taking home improvement tips to heart can save you a lot of aggravation and money. Home remodeling and improvements can seem like an overwhelming endeavor, but it can be very worthwhile if it is done right. Still, home owners invest a lot of time and money in home improvements so they want to be sure that things to smoothly. Maximizing your value and results is critical. 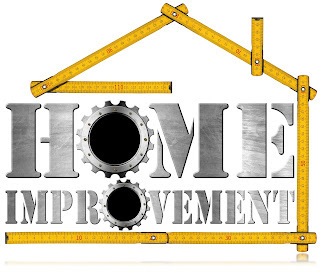 There are substantial benefits to home improvements when they are done correctly. 1. Inexperienced Contractor: Experience is so important when it comes to choosing a contractor. You don't want your contractor to be learning on the job and using your home as a teaching tool. Research your contractor, be sure they are licensed and verify how long they have been in business. 2. DIY Projects: DIY is big now. There are so many cable shows and YouTube videos that make it look easy to make home improvements yourself. This is often not that case though. You can cause significant damage to your home and even create a dangerous situation trying to do complex repairs yourself. 3. Poor Planning: Don't just jump in without planning properly for your home improvement projects. Planning for power being off, water being off, rooms being inaccessible, storing supplies, a realistic time table, and many other factors will make a big difference in the outcome of your home improvement project.